American pancake recipe – inspired by my trip to San Francisco. I love making them, flipping them and eating them. 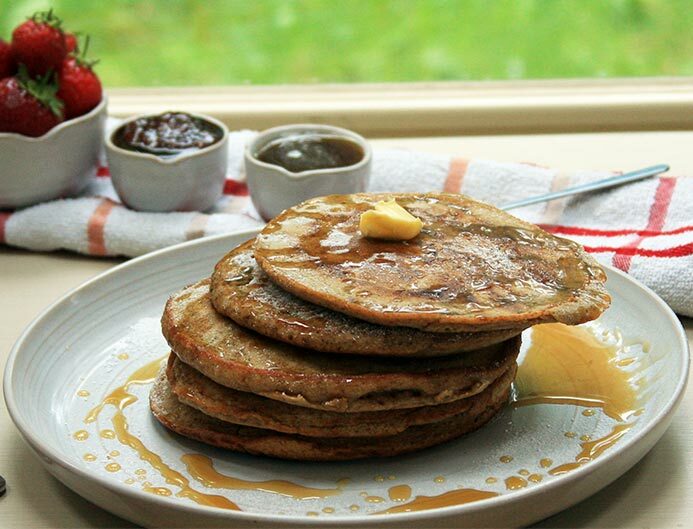 Pancakes are not just for Shrove Tuesday or Pancake Tuesday. They are for when you feel like them. And I feel like them a lot. I never used to like pancakes. It wasn’t until I went to San Francisco in 2003 that I feel in love with these discs of delight. Up until then, I’d only ever had ‘Irish pancakes’ – lemony, limp, lifeless. In San Francisco I had fabulous, fluffy, filling pancakes. My first taste of American pancakes was in a restaurant called Lori’s Diner on Sutter Street. The pancakes were bigger than my head and dripping with American bacon and maple syrup. If you are in San Francisco I highly recommend going to Lori’s Diner for a proper American pancake breakfast. You will not be disappointed. So my fluffy American pancake recipe is a replica of the pancakes I ate in San Francisco. The toppings are bacon and maple syrup but obviously you can top them with whatever you wish. The bacon is pork belly bacon. American bacon is streaky with fat because it comes from the belly of the pig. Don’t worry, if you don’t want to use pork belly you can just use whatever bacon or rashers you like. If you opt for the pork belly, get the butcher to slice it into rashers or slice it yourself. To get crisp, American-style bacon, you need to cook it in the oven not under the grill or in a pan. So this maple and bacon topped fluffy American pancake recipe is a tribute to the pancakes I ate San Francisco. Oh, and they are very easy to make and practically foolproof. You will need to big mixing bowls for this. Sieve all the dry ingredients (including the cinnamon and ginger if using) into one of the bowls. 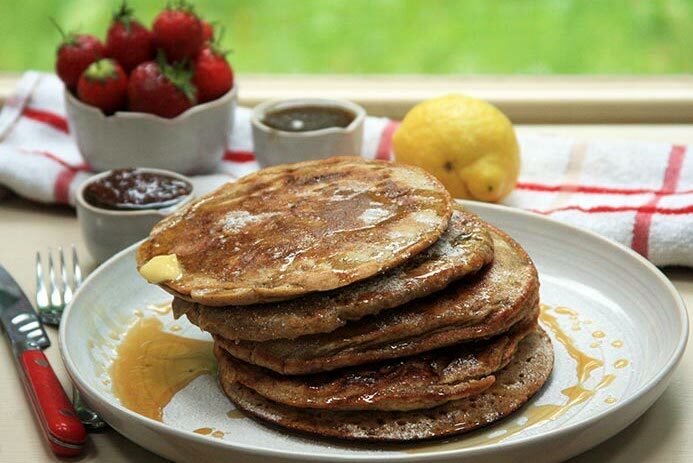 Sieving will really help make these pancakes light and fluffy but you don’t have to sieve if you don’t want to. Whisk the egg and egg white until they are really fluffy. Whisk into the egg mixture the buttermilk and oil. Lightly whisk the dry ingredients into the wet ingredients. Don’t over mix, a few lumps are fine. If you are going to serve all the pancakes at once, turn on the over and put the serving plates in the oven. This is so you can keep the pancakes warm whilst making the batch. Put a knob of butter and a splash of vegetable oil in a non-stick pan and place over a medium heat. If you don’t have a pan, don’t worry! 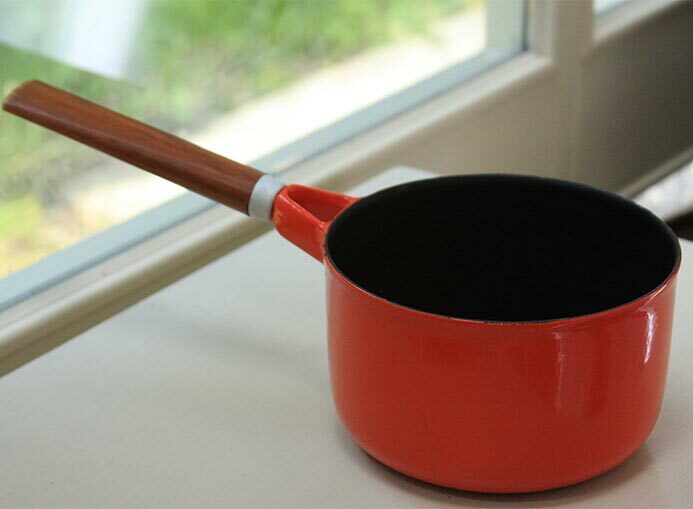 I used a non-stick pot (the red one in the photo) as it was the perfect size for making pancakes. Just make sure you use enough butter and oil to stop the pancakes sticking. Keep an eye on them when cooking. I poured a quarter cup (60 millilitre) of the batter into the pan at a time. This makes the pancakes nice and thick. When the pancakes have bubbles on top and are slightly dry around edges, get flipping. For me this took about three minutes. Cook on the second side until the bottom of the pancake is golden – about another 1 to 2 minutes. When one is cooked place it on the warmed plate in the oven. Add a bit more butter and oil into the pan and cook another pancake. As the pan is getting hotter the next one may cook slightly quicker. Using a 1/4 cup (60 millilitre) measure you’ll get five pancakes out of this amount of batter. Pork belly – place the pork belly strips on a baking tray and cook for about 20 minutes in the oven at 200°C / 180°C for fan assisted ovens / 400°F / gas mark 6. So what did you think of my American pancake recipe? Did you try it out? Did you like it? What improvements would you make? Share a photo of your own attempt at this recipe or leave any feedback and comments below. I love hearing from you. If you liked this post you may also like my Mississippi mud cake recipe – another American classic. And check out my list of the best five-star Dublin hotel afternoon tea experiences. If you like easy recipes, check out my scones recipe made with honey and figs. If you like this American pancake recipe, please share with others. Total perfection!!! The kids loved it. I added a splash of vanilla and a splash more milk…. I added a touch more sugar since my little one loves the sugar. I love that you play around with the recipe. So many people are nervous to experiment with recipes but I love when people tell me how they adapted my recipe! Glad you liked the pancakes. Thanks for commenting. I would love to try your recipe of pancakes with berries. It is such a great recipe for breakfast! Yes, it is my favourite breakfast and the batter keeps in the fridge so you can make it the night before if you like. Yum! I would love to try these recipes. As an American, I loved Irish pancakes when I visited. 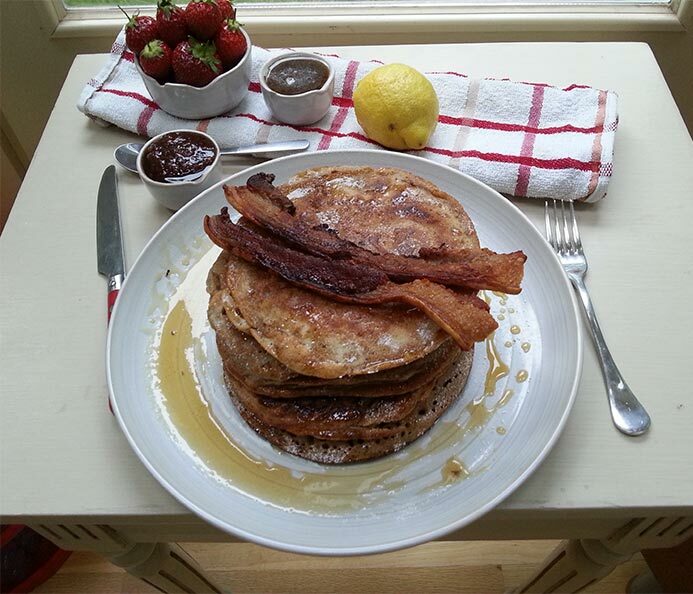 But there is nothing like American pancakes and bacon! Irish pancakes are so thin compared to the ones you have in the States. I nearly exploded with excitement (and too many pancakes) the first time I visited iHop! If you get a little mould you could make heart shaped pancakes topped with strawberries and cream! Yes! I totally feel like a chef when I try to flip and I too usually end up with half the pancake on the oven top and not in the pan! But sure, that’s half the fun. I am a pancake lover too, specially floppy one – this recipe will surely make me full I may just alter your bacon toppings to fruits or nuts. Thanks for sharing. Fruit and nuts on pancakes are delicious. I love pineapple and pecan nuts on top of mine! Me and my family loves pancake! And this pancake looks so delicious. I wonder if we have this here in Philippines. I am sure you have the ingredients in the Philippines! 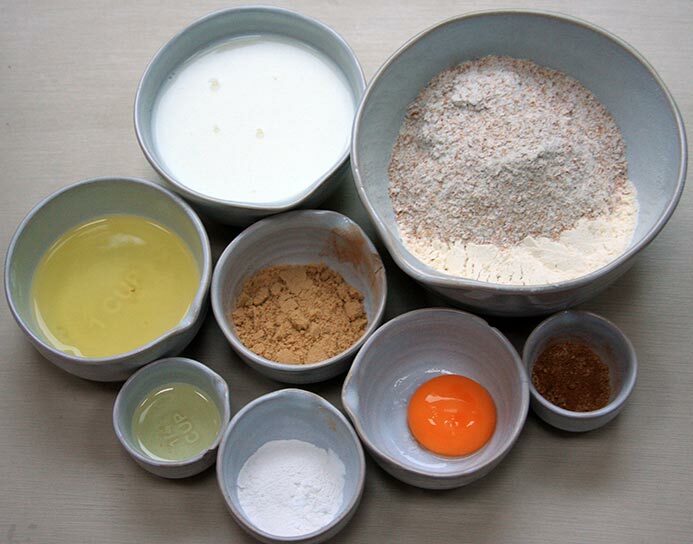 Pancake ingredients are more or less the same all over the world. Yeah, it is a really easy recipe and it is quick too so hopefully will be helpful to those who don’t like cooking or don’t have that much time to prepare pancakes at home. I hope your kids like them!